Meat dishes tend to always be present in any restaurant menu. So you need to make sure you present them in various appetizing ways to entice the taste buds of customers. 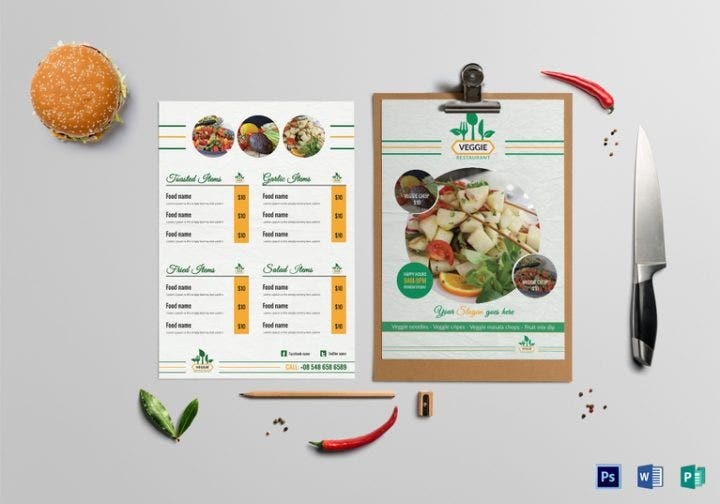 If you are the proud owner of a restaurant that serves delicious and scrumptious meat dishes, pick any of these templates for the menu and make your customers’ mouths water. The template is light beige and has a simple font which you can retain or change depending on your preference. It is 8.52 inches by 11.54 inches in size, which leaves a lot of space for creative freedom. It is available in Adobe Illustrator, InDesign, Microsoft Word, Photoshop, and Publisher formats for easy editing. 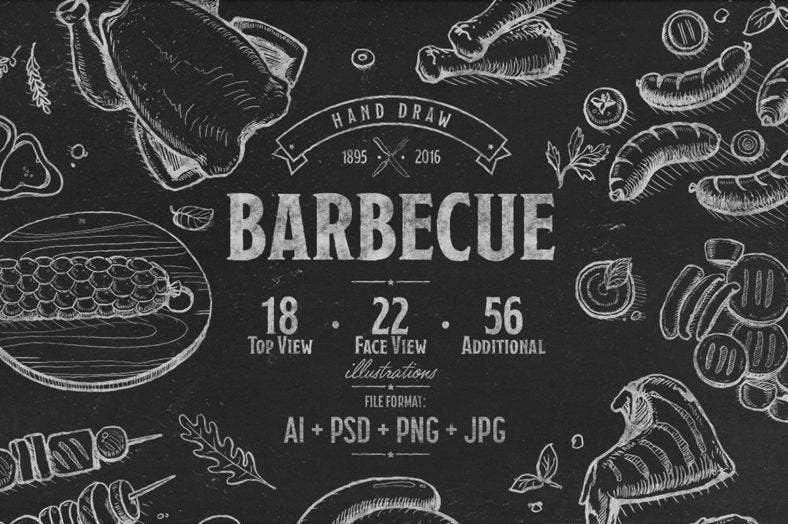 This set of hand-drawn barbecue designs in vintage style would be the ideal choice if you are planning to open a barbecue restaurant. Meat illustrations such as meat, steak, and others are included in this set. It is compatible with Adobe Illustrator and Photoshop if you wish to customize it further. Meat menus do not always have to be flashy and bursting with colors. This minimal black and white design comes in a clean and well-arranged look. You can do away with the triangle design at the bottom and just put in the photos if you wish. The possibilities for customizing this design can be unlimited if you use your imagination. 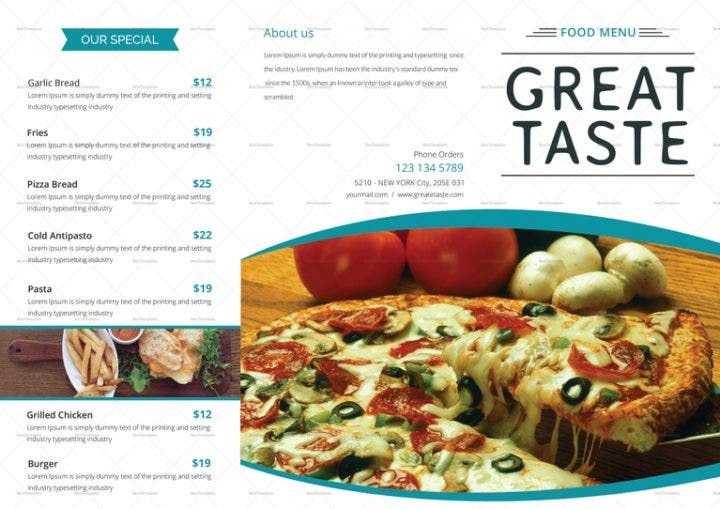 If you plan to offer many selections in your menu, the tri-fold food menu template works just fine. Five pages (excluding the cover) occupy the menu with the photos taking up a little space. 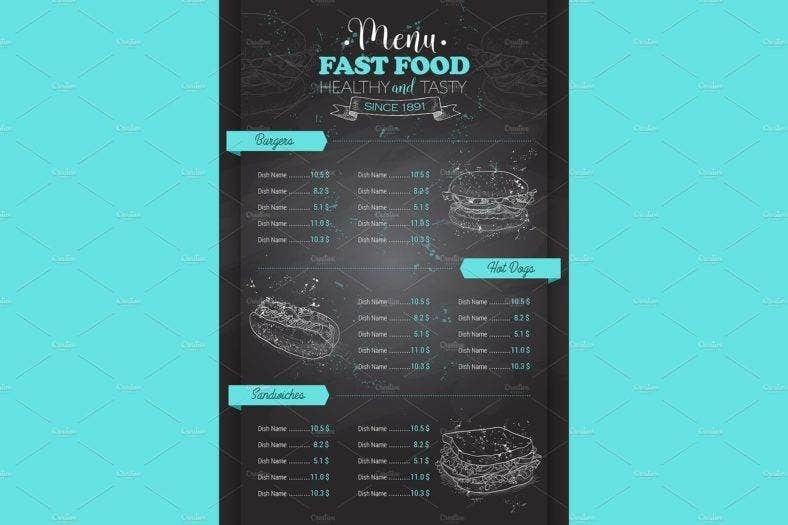 The template is compatible with Microsoft Word, Photoshop, and Publisher with a size of 16.53 by 11.69 inches, which is considerably bigger compared to the other samples on this list. The template is in high-color and has strong details that catch the eye. The juicy and sizzling steak on the cover says it all. Images, texts, elements, and colors can be easily changed and everything is print-ready in A4 size. It also has well-organized layers along with all the necessary elements. Bernier, Lobster, and Sans Pro are used as fonts. This delicious cover is tempting enough to inspire hunger in anyone who sees it. The photos make up for the simplicity of the template and they complement the other elements of the design. This can be edited using Microsoft Word, Photoshop, and Publisher, and it is 8.2 by 11.69 inches in size. 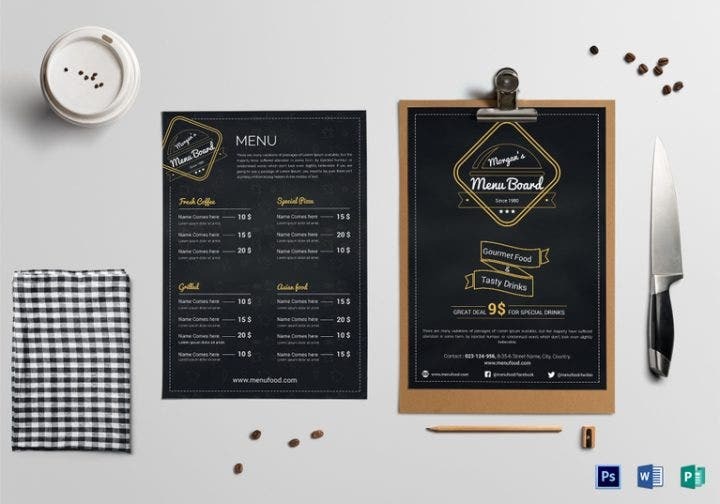 Black always wins in menu designs, such as this one. 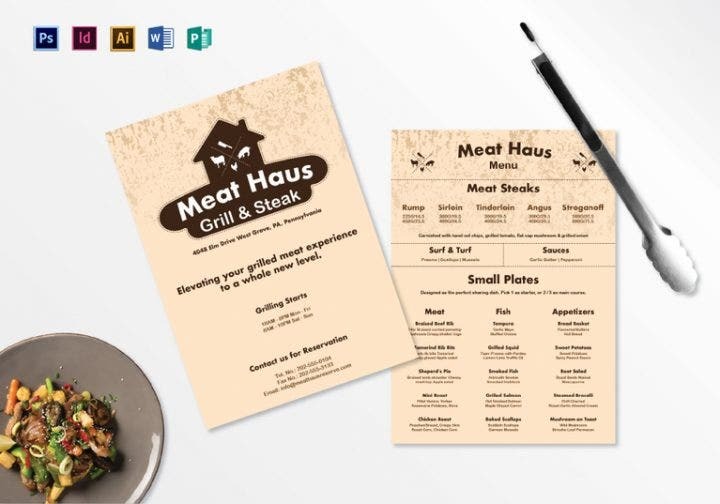 It is sleek and classy for a meat menu template, making it a must-have for any aspiring restaurant owner. It comes in Microsoft Word, Photoshop, and Publisher formats. All the text of this template is convertible to outline. 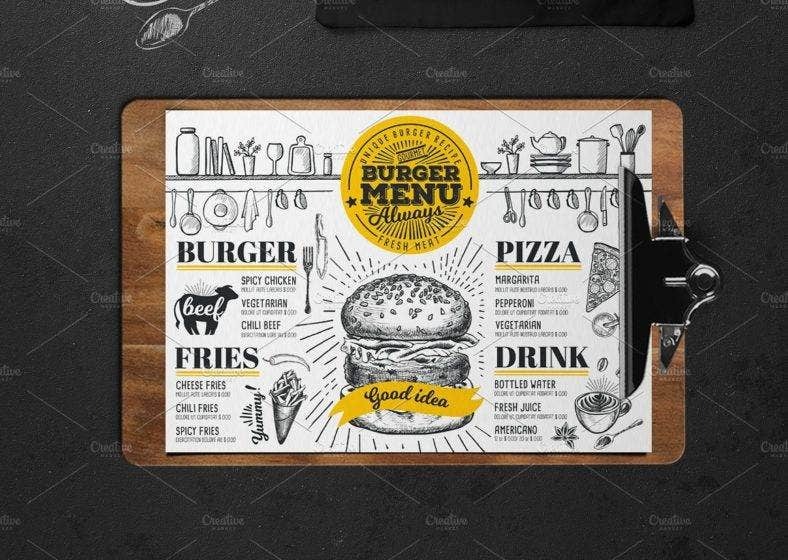 It’s kind of unusual for a fast food template to be hand-drawn, but this one makes it work beautifully. If you are looking for a fresh design, this one is for you. It can be easily customized given its simplicity. It is 8.2 by 11.69 inches in size and is available in Microsoft Word, Photoshop, and Publisher formats. Just like all any other black and white design, this menu looks clean and minimalist. It has the CMYK color model and it works on Photoshop CS2. 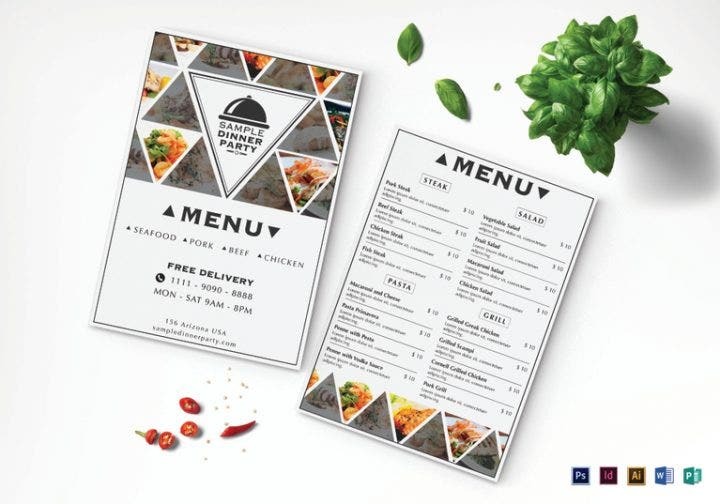 Go for this option if you would like a more elegant, refined look for your menu. These two templates are part of the 100 Free Illustrations bundle. Most of the designs are hand-drawn. 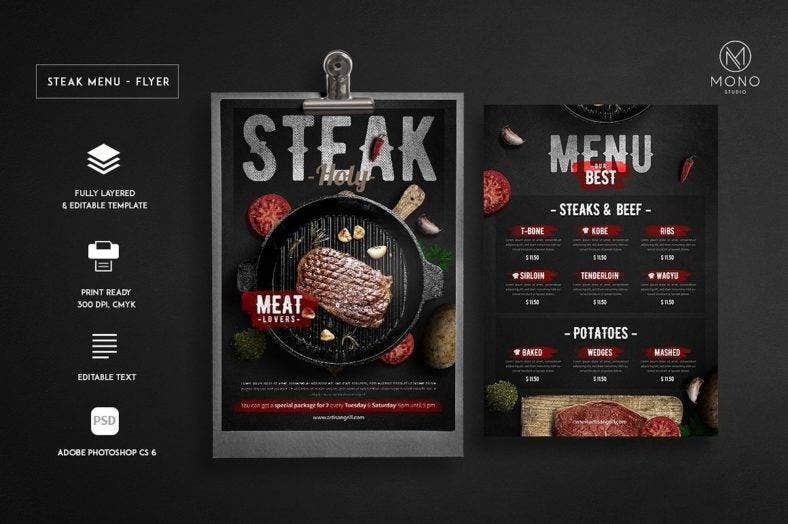 This style is unique when it comes to menu templates. This bundle will also give you 100 food vector elements for Adobe Illustrator. 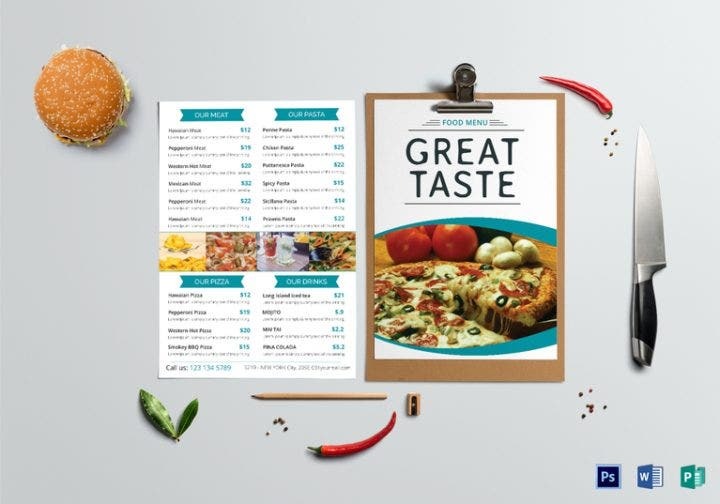 Since the templates have their design already, your menu should have at least some finishing touches. Here are some tips to help you in improving your menu. Some formats may not run on your computer after you choose a template. 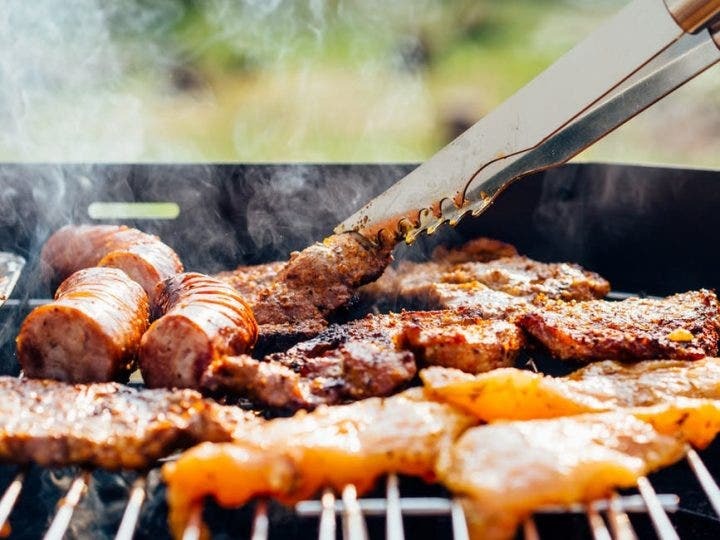 Check your applications first before planning to design the meat menu. Pick a template that is easy to edit. It saves time when you start to customize your menu. If you choose a template that is hard to work on, it will consume more time and effort. One good way to catch the attention of customers is by using good photographs of your meat dishes. Find the best angle when you take the photo. Choose the best one and put it on your menu. It has to be mouth-watering and delicious n the eyes of your customers. Crowding too many details on the menu will make it look like a mess. If possible, keep some details to a minimum. You do not have to put everything in the design. Choose the best and most appropriate details to match whatever template you have purchased. Of course, once everything is done, you have to clean up some minor imperfections in your design. 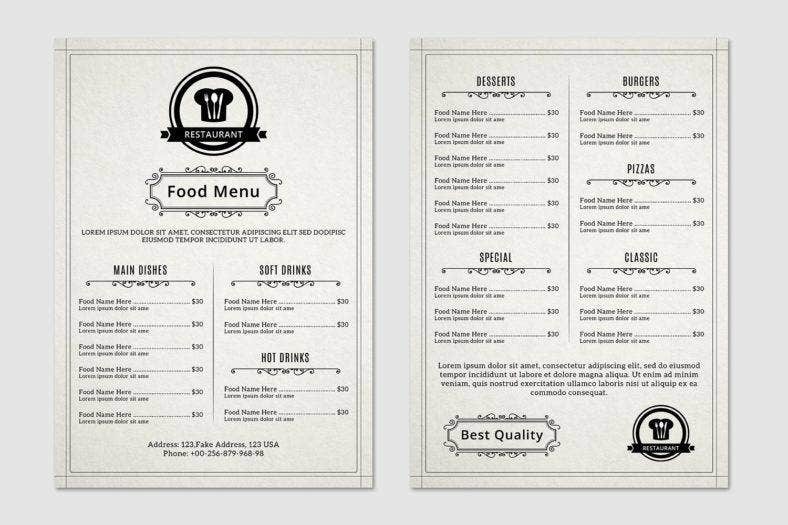 Get a second or third opinion to help you decide on the best menu look possible. 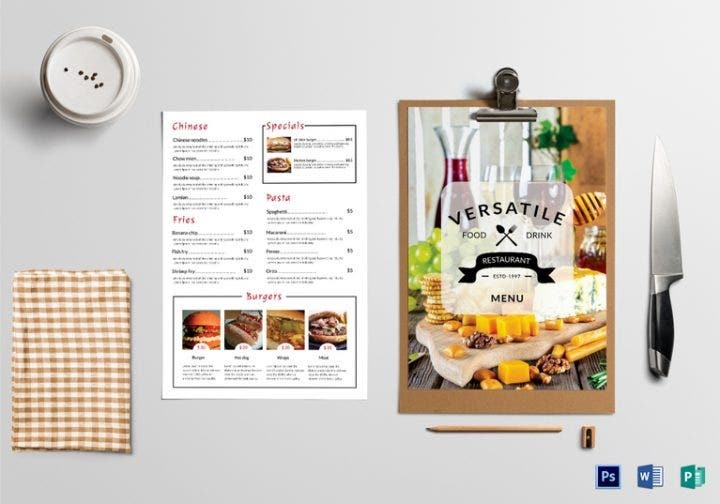 Designing meat menus can be tough at times, but you are free to play with your imagination with the available templates we have listed here. Remember to use your creativity and to have fun!